Lights, camera, STEM in action!! What a week National Science Week has been for me!! 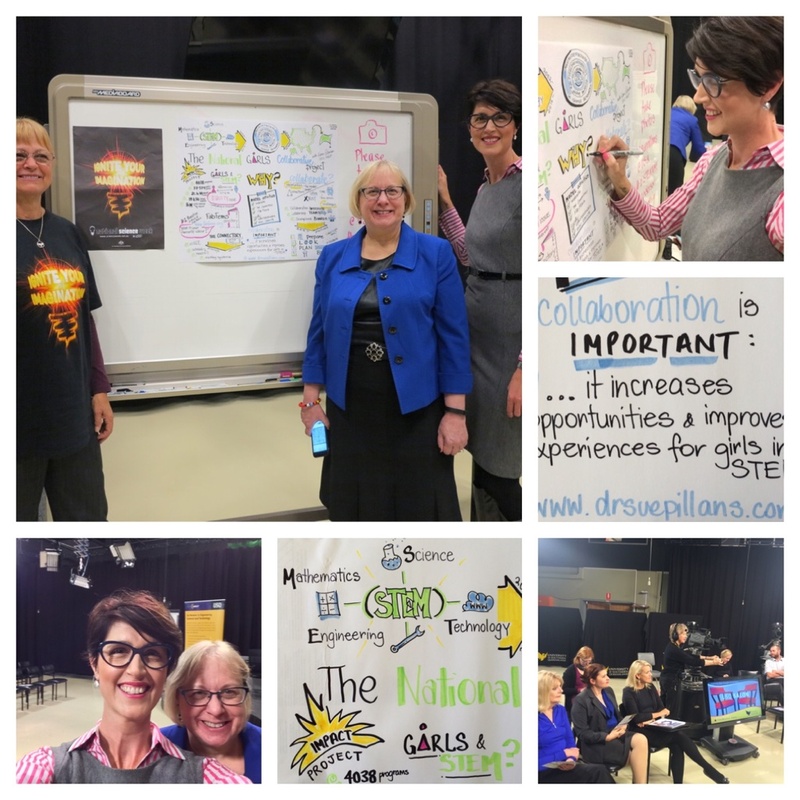 It started with lights, camera and STEM (Science, Technology, Engineering, Mathematics) in action at the USQ Salon (University of Southern Queensland). No, this is not a beauty treatment but a place for the exchange of ideas through a real-life and functioning tv studio, at USQs beautiful Toowoomba campus. I was there to graphically record Karen Peterson’s presentations on the National Girls Collaborative Project, of which she is the CEO in the United States (see more about this project here http://ngcproject.org/). It was an honour for me to graphically record Karens presentations throughout National Science Week which also included an overview of FabFems (http://www.fabfems.org), a national database of women in STEM professions who are inspiring role models for young women, of which I’m now one!! A HUGE thank you to Dr Lindy Orwin of USQ who organised and engaged my creative services for Karen’s visit to Australia, its been such a great experience working with Women in STEM! You can follow more of my creative journey via My Blog and as my alter ego Dr Suzie Starfish (https://www.facebook.com/drsuziestarfish/) on Facebook and @suepillans on Twitter and Instagram. ← The ART of Science!